One thing I love doing as a hobby is taking the girls walking through the country side . We have the grange that is a mile walk away and it is beautiful. It also has a small cafe to stop off for hot chocolate or an ice cream - which the kids love! Weather conditions can make Work very difficult and last weekend I fell . We have had snow over the last week and it has turned to ice . Try walking in that all day - not fun! As carers we don’t get a lot of travel time , so walking to the next call and being on time always seem to feel impossible. 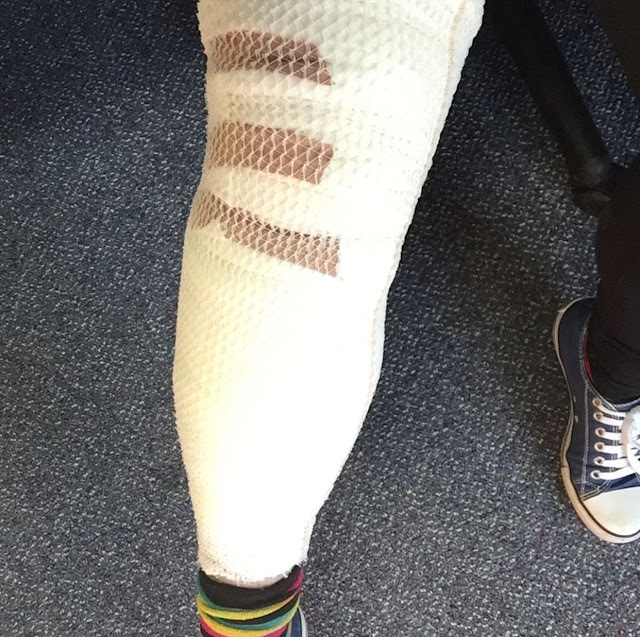 I ended up falling and landing on my right knee - which ended up me tearing my ligaments in the knee and spraining my ankle - the joys!